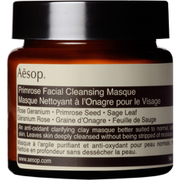 The Aesop Primrose Facial Cleansing Masque is ideal for most skin types. This deep cleansing clay is designed to deal with clogged skin that suffers from breakouts. Once a week is enough for most, though those with oily skin should consider using it more often. 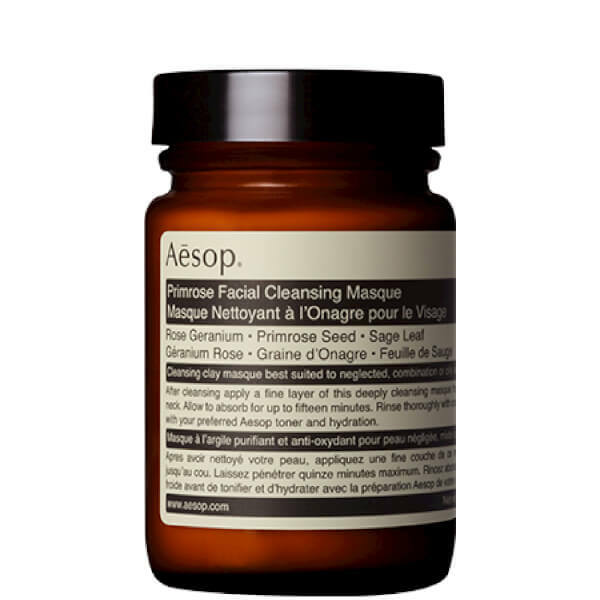 The refreshing effects of this facial cleansing masque from Aesop come from the combination of rose geranium, primrose seed and sage, all blended with French clay and vitamin E to nourish and soothe. Patchy skin in particular can benefit from regular use of this Aesop masque. 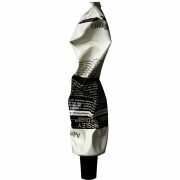 The masque is easy to use and is the ideal addition to any skincare regime. I use it once a week and it is really good and keeping use it. Appreciate for the good service from Mankind support team. A pure smell of this goods and my skin feel relax after trying it. My friends and I love this one,they are so amazing! In addition to cover is damaged, the other is very good. 1st time to use Aesop. Apply a thin layer to have a deepclean on face, after u used it, your skin feel fresh and energertic. It is glass bottle. Looks good package quality. The smell is nice. Look forward the effect. it's so good for cleasing our skin.